A factual comparison of the key technical differences between the Powervar Security II UPM and the Power Inspired TX Series UPS System. Isolation Transformer On output On input ➁ Transformer on input or output? Isolation transformers will negate the effectiveness of Residual Current Devices (RCDs). Where an RCD has been specified either for additional safety or due to poor earthing then this point needs to be considered. The advantage of making a Neutral to Earth bond is that it removes any voltage between the Neutral and Earth conductors. This is what the Security II UPM does. However, as a result of this the output live conductor is now referenced to earth directly. This means that in a fault condition it is possible to receive an electric shock between the output phase conductor and earth. Any protective RCD put in place to protect against this will not trip. Where no bond is made, the output voltage is now floating with respect to earth. This means that any phase to earth fault would not cause an electric shock as the fault would simply reference the phase to earth. Again, no RCD would trip but this is irrelevant as no hazard exists. See this article on isolation transformers for further info. ➁ Transformer on Input or Output? An issue with transformers is called “Regulation”. What this means is that the output voltage with no load will be higher than when the transformer is under full load. In line interactive topology such as the Security II UPM, the transformer on the input or the output does not make for much difference except when the unit is running from inverter. The problem is that the output voltage can be quite high under no-load conditions to being quite low under full load conditions. If the load is fluctuating this can cause the output voltage to be varying quite substantially. This is also problematic where certain loads may have high start up currents, such as those with motors or pumps. The initial current surge causes the output voltage to fall resulting in under-voltage protections operating on the load. In online units, such as the TX series, the load is powered from the inverter and hence is extremely stable. A transformer on the output would negate this benefit. The transformer on the input will still be subject to regulation issues however the UPS inverter will correct for any voltage variations. This means the output with online technology is fixed and unwavering – even with high start up current loads. A line interactive UPS allows the input power to pass through to the output. If the voltage rises too much that the output voltage would become out of tolerance, then the UPS enters a “buck” mode to reduce the voltage by a fixed percentage. The reverse is also true. If the input voltage is to become too low to remain in tolerance, then the UPS enters a “boost” mode to raise the voltage by a fixed percentage. Such technology is referred to as “Voltage Independent” or VI. However in normal operation the output voltage is in fact passed straight through so the voltage regulation is somewhat minimal. Any distortions on the input power will also be passed through to the load. The Powervar Security II UPM is a line interactive UPS. Online double conversion units supply power to the load from the inverter at all times. This means the output voltage is fixed and of high purity. In fact, the TX series, being an online unit is capable of having an adjustable output voltage, or even frequency. This feature of online UPS means this technology is referred to as “Voltage Frequency Independent” or VFI. In that the output voltage and frequency are in fact, independent of the input. However, note that it is common practice for online units to be in synch with the input frequency in case a revert to bypass is necessary. So technically, the frequency isn’t always independent. Hot swappable is a term coined to describe that the batteries in the UPS can be replaced with the unit still powered up and connected. The important point is that this should be safe and be able to be performed without the use of a tool. It is advantageous in that it allows the replacement of batteries by unskilled persons and without powering down the load. 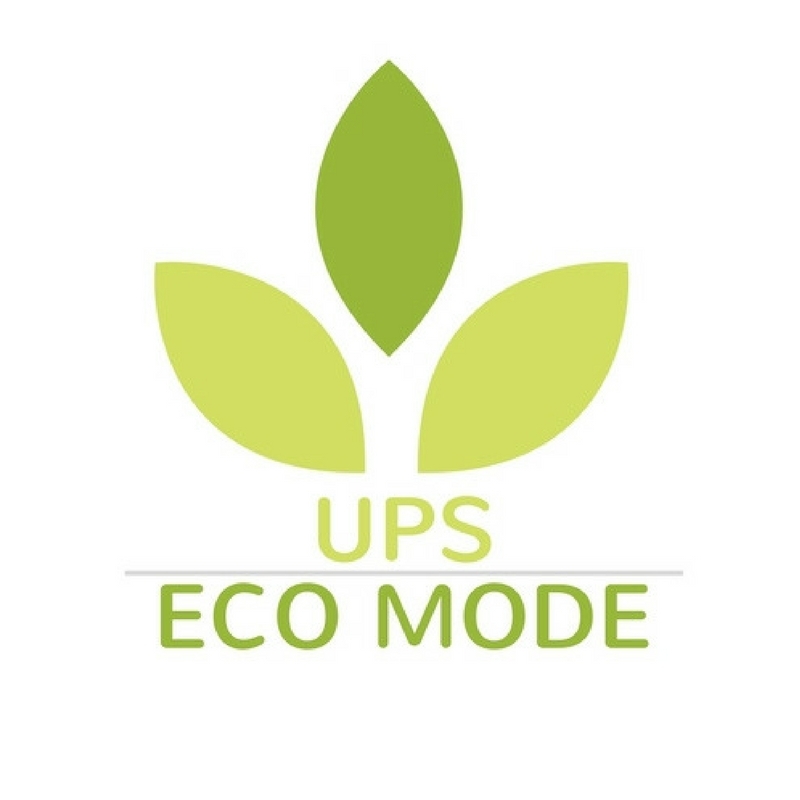 If the UPS requires a service however, then this benefit is largely removed. Extended run units allow for the connection of additional battery packs in order to extend runtime if required. Such units should have a higher capacity battery charger in order to recharge this larger battery bank. The TX series is an extended run unit with an adjustable battery charge current of up to 4Amps. 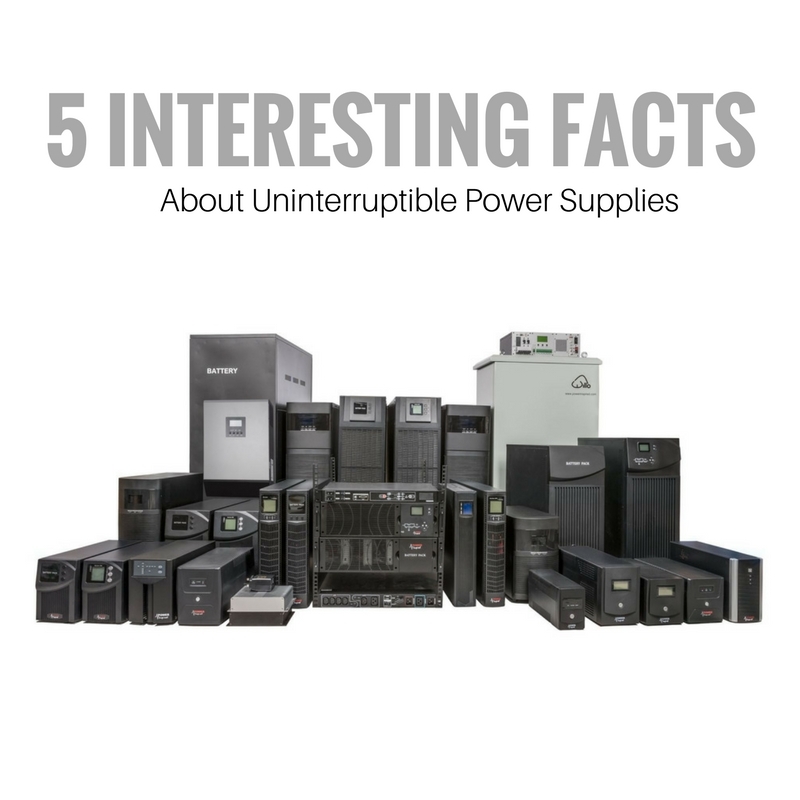 You probably know how Uninterruptible Power Supplies work and what their purpose is, but we have the top 5 interesting facts about UPSs that you probably didn’t know! The history of Uninterruptible Power Supplies is somewhat a mystery – nobody can name one person or one date when UPSs systems were invented. There were many theorists and scientists involved in research and studies, however nobody can claim to be the inventor of UPS. 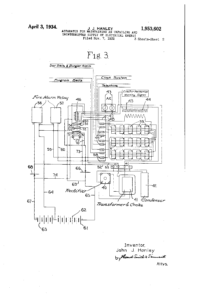 This rather amusing acronym stands for “Apparatus for Maintaining an Unfailing and Uninterrupted Supply of Electrical Energy”, which is a first ever UPS patented in 1934 by John J. Hanley. Mr. Hanley mentions in the document that the invention is to be used with fire alarms and other safety systems to protect properties and lives. It is amazing how far UPSs have come since then and how the variety of applications widened since 1930s. The AMUUSEE was an ancestor of UPSs as we know them now. We are certainly grateful that UPSs are now called Uninterruptible Power Supply rather than the tongue twister that is used to be back in the day. You can read the whole patent document at google/patents. 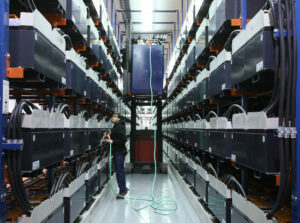 The largest Uninterruptible Power Supply system in the world is a 46-megawatt system in Alaska. The system is called the “Battery Electric Storage System (BESS)” and is located in Fairbanks, Alaska where it powers the entire town! It can provide up to 15 minutes runtime at 26 megawatts, providing enough backup power until the generator comes on. The runtime is achieved by four battery strings, each containing 344 series of connected battery modules. That is one truly amazing UPS. A UPS is nothing without batteries. Did you know that majority of faults within UPSs are related to batteries? 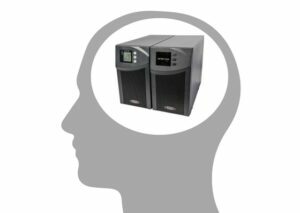 Good batteries matter and so to ensure your UPS provides maximum reliability, you need to organise for appropriate maintenance. Power Inspired Uninterruptible Power Supply systems come with VRLA batteries with 3-5 year design. This time is however approximate and depends upon many factors, including the environment in which the UPS is stored. You can see how to prevent premature battery failure in our previous blog. Power Inspired’s TX series provides unique safe UPS technology. The units contain an isolation transformer which protects from electric shock and ensures the UPS is isolated and safe. TX series units range between 1KVA – 10KVA, they have a small footprint and the design is highly modern and minimalistic. The larger units (3KVA, 6KVA and 10KVA) also come with wheels for ease of installation. 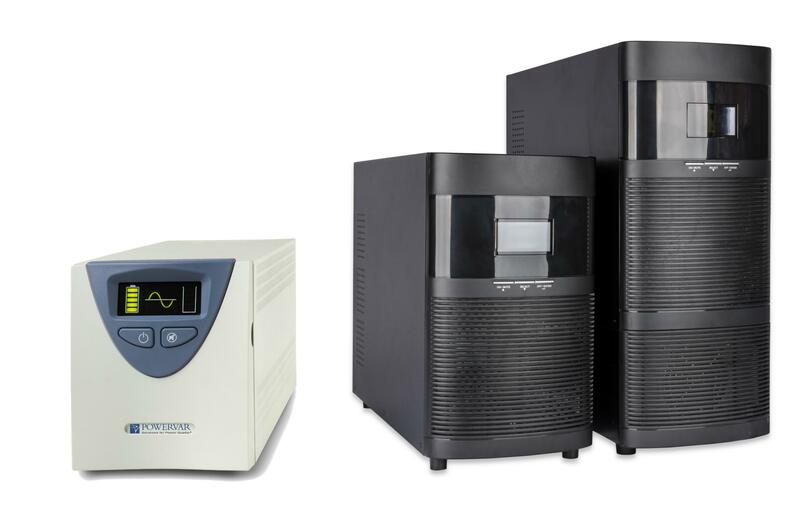 TX series UPS are designed to provide highest degrees of power protection for laboratory, industrial and medical applications. More information about TX series can be found here.